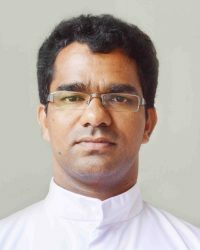 Prior to his appointment as rector of the seminary, Msgr. 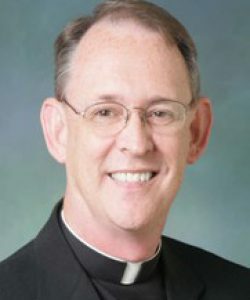 Brennan served as chancellor of the Diocese of St. Augustine from 1992 to 2004 and pastor of Blessed Trinity Parish in Jacksonville from 2001 to 2004. He also served as a parochial vicar at the Cathedral Basilica of St. Augustine (1988-1990) and St. Paul’s Parish in Jacksonville Beach (1985-1988). Msgr. Brennan’s most recent assignment was as Pastor at Holy Spirit Catholic Church in east Arlington from July 2012 until July 2013. Effective July 1, 2013, he was appointed as Pastor of Our Lady Star of the Sea in Ponte Vedra Beach, Florida. Fr. Bastian Mathew, CMI was born in 1977 in Kerala , India. He was professed as Carmelites Mary Immaculate – St. Joseph’s Province and Ordained on January 3, 2007. He graduated from Christ University Bangalore, India. He holds a Bachelor’s degree in Education, a Master’s degree in physics and also a licentiate in physics. The last seven years he worked as an administrator and teacher of a public school owned by his congregation. Anthony Marini was born in the Province of L’Aquila in Central Italy on November 13, 1930, son of Anna and Claudio Marini. On June 10, 1937, he and his mother arrived in New York City where they were met by his father. He grew up in Brooklyn, New York and attended public elementary and high schools. He was accepted at Fordham College and graduated in 1952 with a Bachelor of Science degree in Mathematics. In 1954, he graduated with an MBA degree in Statistics from New York University. Following graduation he was employed by Western Electric Co. and American Can Co. in Manhattan, and also taught Statistics at Pace College in the evening as Adjunct Associate Professor. On July 14, 1956, he married Maria Patrizio, a long-time friend from Staten Island, New York. They have two children and seven grandchildren. In 1965 he accepted a position with the Xerox Corp. in Rochester, New York. The couple became active in the Cursillo Movement and in 1969, Bishop Joseph L. Hogan appointed him as Diocesan Lay Director. In 1978 he was accepted into the Rochester Diocese’s first class of deacon candidates and on April 17, 1982, he was ordained a Permanent Deacon by Bishop Matthew H. Clark. He participated in the Xerox Executive Leave Program in 1979 and worked to establish a non-profit corporation giving loans to minority businessmen through Small Business Administration. From 1980 through 1984 he was the Eastern Regional Manager for the company’s Employee Assistance Program (EAP). In late 1984 the deacon transferred to the Tampa Branch as Administrative Manager and then took early retirement in 1987 to pursue his deaconate ministry full time. He served at Incarnation Parish in Tampa and at St. Anne Parish in Ruskin, FL as Migrant Minister to the Hispanic population. He and Maria moved to Sun City Center, near Ruskin where the deacon also assisted at Prince of Peace Church. Beginning in 1992, he also worked in Western North Carolina, most recently in Hendersonville, during the summer months, ministering to the needs of the Hispanic community in the Immaculate Conception Parish. In 1997, he and his wife moved to Ponte Vedra Beach, FL and joined Our Lady Star of the Sea Parish. Daniel F. Scrone was born in Morristown, NJ on August 17, 1939. He attended Bayley Grammar School and then went onto Bayley-Ellard Catholic High School where he graduated in June 1956. He attended St. Charles Borremeo Minor Seminary from 1956-1957. He joined the US Marine Corps in January, 1958 and was honorably discharged in January, 1961. His Marine Corps duties consisted of Military & Security Police at the Naval Air Station in Quonset Pt., Rhode Island. Upon discharge from the Marines, he attended St. Mary’s College, in St. Mary, KY and then onto Seton Hall University in South Orange, NJ. He received a B.A. in Philosophy from St. Mary’s College in 1963. From September 1963 to June, 1965, he taught 7th & 8th grade at St. Patrick’s Parish School in Chatham, NJ while attending night school and studying for a Masters in Philosophy. He amassed 18 credits at Seton Hall. Dan married Peggy Graham on April 1, 1967 and have 3 children, Andrew, Deborah & Brian. They have 6 grandchildren, Cooper, Christian (who went to heaven on November 1, 2006), Genevieve, Shane, Zion and Izaiah. With the exception of Andrew & Genevieve all live in Ponte Vedra Beach, FL. Dan was ordained a Deacon in the Paterson Diocese on March 27, 1982 by Bishop Frank Rodimer (Ret.). 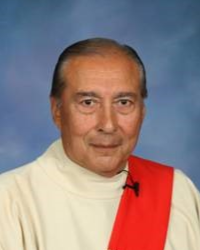 Besides working in various parishes, he was Spiritual Director for Cursillo for 5 years. From 1999 to 2005 he taught Religious Education to high school seniors at Bayley-Ellard High School (his alma mater) and was appointed President of the High School by Bishop Rodimer in 2003. 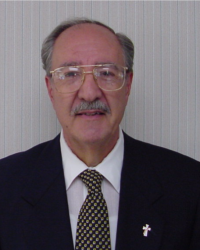 Dan retired from the business world at Computer Horizons Corp, as a corporate Vice President in charge of sales in 1996. Dan & Peg moved from Morris Plains, NJ in November 2007 to Ponte Vedra Beach. 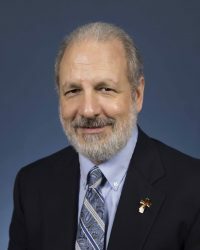 He was granted faculties by Bishop Victor Galeone in February, 2008 to serve the people of Our Lady Star of the Sea Parish. Don was born in Long Island City, NY in 1952 and raised in Jersey City, NJ. He earned his BA in Finance from Seton Hall University and his MA in Theology from the Augustine Institute. Don met Cathleen doing community theater and they were married in the Immaculate Conception Chapel at Seton Hall University on November 12, 1977. Prior to church ministry, Don was employed as a floor clerk on the New York Stock Exchange and as a Programmer Analyst for Chubb & Son in Warren, NJ. Following his ordination to the diaconate by the late Bishop Edward T. Hughes on May 5, 1996, he has served at St. Theodore Parish in Port Murray, Christ the King Parish in Manville, Our Lady of Mercy Parish in South Bound Brook, and Transfiguration of the Lord Parish in Highland Park. Following his ordination, Don was employed as a Business Administrator for Christ the King Parish in Manville, St. Joseph Parish in Hillsborough and Parish of the Visitation in New Brunswick. Cathleen and Don moved to Ave Maria, Florida, in August, 2014. He was assigned to Our Lady of Guadalupe Church in Immokalee and ministered there until they relocated to St. Augustine in 2017. On April 24, 2017, Don was assigned to Our Lady Star of the Sea Parish. In addition to his liturgical and sacramental responsibilities, Don has served as a religious education teacher, an RCIA coordinator and teacher, a parish pro-life representative, a bible study facilitator, and assisted where needed by his pastor or his parishioners. He is a Knight Commander in the Equestrian Order of the Holy Sepulchre of Jerusalem and a 4th Degree Knight of the Knights of Columbus. Sr. Lucille (Lucy) Clynes, Sr. Cecelia Marie, born in Brooklyn, NY was a member of Holy Child of Jesus Parish in Richmond Hill, Queens, NY and graduated from Our Lady Of Wisdom Academy in 1965. She entered the Novitiate in 1965 and went on to earn a BA in Social Studies and a BS in education from Marillac College, St. Louis, Missouri (71) and a master’s degree in administration and leadership development from Catholic University of America, Washington, DC (80). She also studied theology at St. Louis University and Catholic University of America. 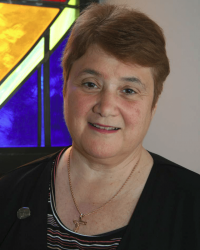 Sr. Lucy began her ministry in education in Connecticut as a social studies and religion teacher in Waterbury Catholic High School(1971-75), and then as Assistant Dean of Discipline at Holy Cross High School. 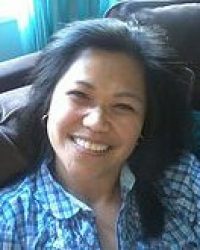 She returned to New York in 1977 to become Assistant Principal, and later principal at St. Mary Gate of Heaven School, Ozone Park, NY until 1984. For the next 23 years, she served as the Diocesan Director of Christian Formation for the Diocese of St. Augustine, Florida. During this time she also served on four Provincial Leadership Teams serving terms as a council member and Vicar of the congregation. In 2007 she served as Canonical Treasurer for the Province, and was Vocation Director from 2005 until 2014. She returned to Florida in 2014 to resume work in the Diocese of St. Augustine, Florida and currently serves in Our Lady Star of the Sea Parish, Ponte Vedra, Florida as a Pastoral Minister. I am a child of God, devoted to loving and serving Him. I am married to the amazing Joe Savilla. We have two children, J.P. and Emily, a daughter-in-law, Rachel, and the most precious grandchild, Sophia. We have a dog and a cat, Simon Peter and Uno. I have worked in Youth & Young Adult Ministry for seventeen years in the Diocese of Wheeling-Charleston, West Virginia. I graduated from the University of Charleston, Wheeling Jesuit University, and the Center for Ministry Development. I enjoy singing, playing the piano, creating artwork and having fun! I am a chocoholic. Chris & Jim Goodell have been parishioners and church musicians at OLSS since 1999. They truly believe in sharing their musical talents at church as a sincere form of thanking the Lord for their gifts. Chris has played piano and sung for churches up and down the eastern seaboard for over 30 years. She has sung with the Jacksonville Symphony Chorus for over 5 years. 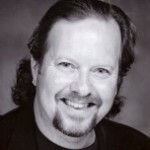 Jim has performed as an actor/vocalist for over 30 years studying at Shenandoah Conservatory of Music in Winchester, VA and privately with vocal coaches in New York and Jacksonville. Outside of OLSS, Chris & Jim are founding principals of Goodell Group, Inc., a professional development and executive coaching practice dedicated to maximizing results through the Human Resource asset. They are both certified performance coaches. Through Goodell Group, Chris & Jim also participate in a national youth leadership/mentoring program called: America’s Rising Stars. They are also producers of theatrical entertainment through their production company, Bella Voce Cabaret. Bella Voce provides corporate and private entertainment and teambuilding programs across the southeast.